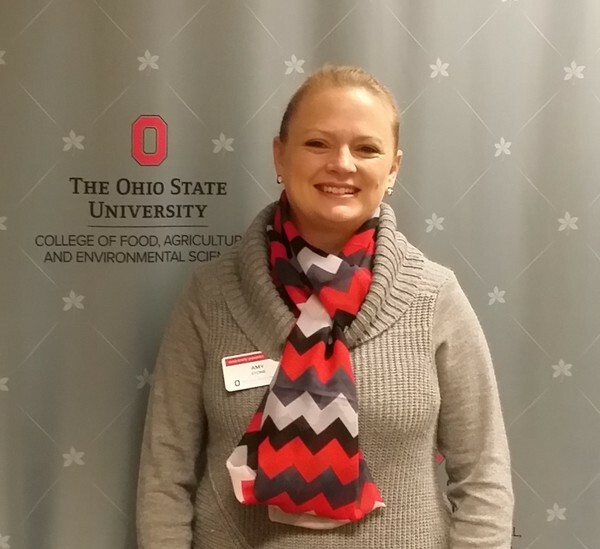 Amy is an Agriculture and Natural Resources (AgNR) Educator with Ohio State University Extension, Lucas County. She began working with Extension in 1992, and has been in her current position since May 2000. Amy has earned degrees from Owens Community College and the University of Toledo. Her specialization has been invasive species and began with a local infestation of the gypsy moth in the county in the mid-nineties. In 2003, Amy collected and submitted the first known infestation of the emerald ash borer (EAB) in Ohio. Amy worked on EAB for nearly ten years on USDA project dollars from APHIS and the Forest Service. Work with Purdue University and Michigan State University on Emerald Ash Borer University (EABU) continues to date. As Ohio faces numerous invasive species threats, Amy is part of an Extension team to address those threats through outreach and education efforts. Amy and her family live on her husband’s grandparent’s farm in southeastern Michigan where they had a forty acre truck farm and sold produce at the Detroit’s Eastern Market. While their garden is only about 2 acres, it is enough to keep the family busy with their jobs away from the home.